Description: Serving justice . . . and lunch!Lunch Lady can sniff out something rotten like no one else—and there's definitely something rotten going on in the library. The usually friendly librarians have become cold and secretive. Even Dee can't seem to crack a smile out of them. What darkness may lurk in the hearts of librarians? Lunch Lady is on the case! And Hector, Terrence, and Dee are along for a wild ride! Review: The Lunch Ladies graphic novel series is so much fun to read! When not serving up lunches to students, Lunch Lady escapes to her secret kitchen crime lab to lead the life of a crime fighter. Using an assortment of lunch-themed gadgets (created by her lunch serving sidekick Betty), she is definitely a quirky superhero and one you would have not picked to be a superhero, which makes this series fun. Tipped off by the "Breakfast Bunch" (three students who discovered Lunch Lady's crime-fighting alter ego and work as team with her in Book 1), she attempts to foil the plans of the evil "League of Librarians," who seek to destroy all video games. Gasp! The black-and-white pen-and-ink illustrations have splashes of yellow in nearly every panel. The clean layout, featuring lots of open space, is well suited for young readers and those who are new to the graphic novel format. We get to see and know more about the Breakfast Bunch in this second volume, especially Dee, who asserts herself as the strong-willed leader of the group. There are plenty of winking references to book fairs, read-a-thon enrollment, and librarians all in good fun and they fit nicely in with the storyline. 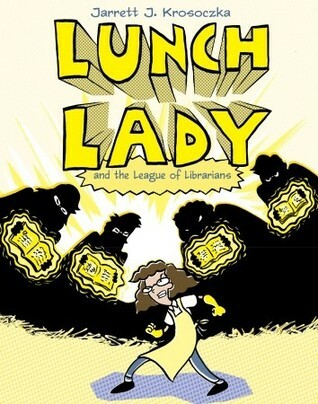 With its appealing mix of action and humor, Lunch Lady is a clever, entertaining series that should have wide appeal. Words of Caution: None. Recommended for strong Grades 2 readers and up. This sounds brilliant. I love the thought of a crime-fighting lunch lady! 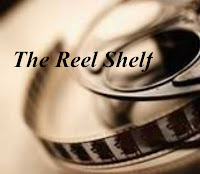 :) I'm glad you found this entertaining and fun to read, Rummanah. Lovely review! Sounds cute, vaguely reminiscent of Captain Underpants (one I am not fond of but kids love). I can't imagine an evil Librarian!!! But the graphic novel format is one that is great for reluctant readers and readers that have a hard time. Glad these were such a hit! I bought a bunch of these for my classroom, and my students love them. I also bought Nathan Hale's Hazardous Tales: One Dead Spy and Big Bad Ironclad. They're both graphic novels, but they're meatier and historical and a lot of fun.